Mother Nature can wreak havoc on your property. 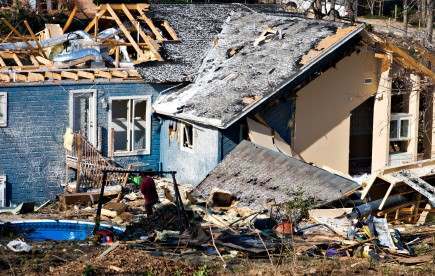 Whether the damage to your North Bergen home or office was caused by earth (earthquake), wind (tornado), water (flood), or fire (lightning), EZ Restoration LLC knows that the damage from a natural disaster can be devastating. When you need disaster cleanup and reconstruction, North Bergen's leading reconstruction expert can help you get back on your feet and feel safe again. Our professional reconstruction experts will provide a thorough analysis of the damage to your property and recommend a plan that takes your safety into consideration. Call (844) 289-7209 for quality reconstruction services when you suffer through devastating damage. EZ Restoration LLC offers 24/7 emergency service in North Bergen, NJ and surrounding towns. Call (844) 289-7209 for immediate, safe, and professional restoration of your North Bergen property. EZ Restoration LLC has provided professional reconstruction services in North Bergen, New Jersey for 6 years. When your property needs reconstruction, call (844) 289-7209 for quality service North Bergen residents can count on.